Ever wished you could have a fairy godmother who would wave her wand around and just make things happen? Like getting front row seats at Paris Fashion Week or organising a last-minute charter yacht in the Maldives? Well, we’ve stumbled upon something pretty close! Meet Ellidore, a discreet, posh, and luxurious service provider best described as your Lifestyle Concierge. 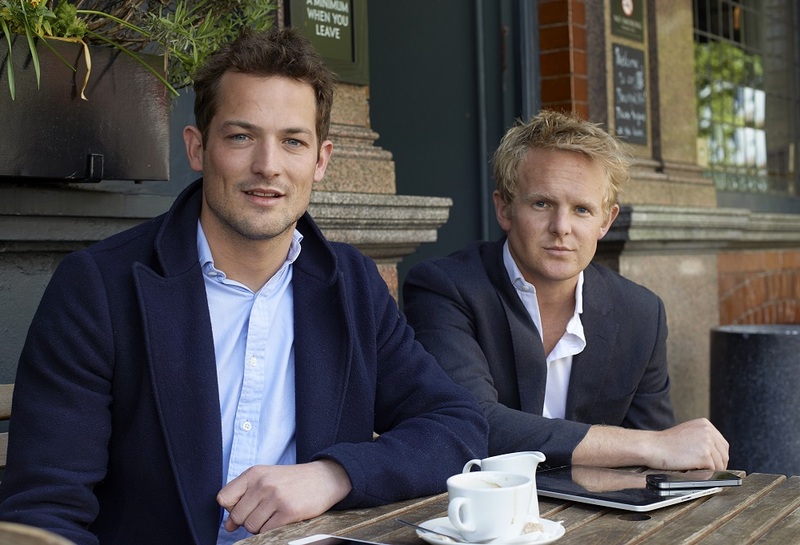 Founded in London by Tom de Stacpoole and Simon Blackford, having Ellidore just a phone call away is akin to having a team of super upgraded personal assistants on hand, ready to help in any way you need at the drop of a hat. They also have an office in Dubai (makes sense) and have grown considerably, both in services and client base, since first launching in 2010. The team at Ellidore are practically miracle workers – they have the know-how, the savvy, the connections, and the skills to pull together almost any request. If you want to get in shape, for example, they won’t just point you in the direction of a recommended trainer or gym – they’ll put together an entire wellness routine for you, from fitness to food to detoxes, schedule appointments, and even coordinate transportation so you can smoothly get from your private yoga session to the nutritionist and then back to the office with barely a hiccup. And if they can’t provide exactly what you want, they’ll come up with a pretty damn good alternative. Luckily, Simon kindly obliged with a Caviar Q&A so we could gain a glimmer of insight into the world of Ellidore in the UAE and beyond. Drop them a line if you’d like to become a member – the summer holidays are in full swing and Simon might just be the man you need to secure your last-minute travel plans to escape the blistering heat! How has your client base changed over the years, if at all? Did you always intend to have all of the services currently offered or was that an organic expansion in response to the growing needs of your clients? Our range of services has certainly grown over the years. Initially our clients would use us for our access to events and venues around the world and that is certainly where we excel. Events such as Wimbledon, Cannes Film Festival, Monaco Grand Prix – basically any event that is inaccessible or sold out we can access, at any level, whether normal tickets, VIP, or backstage access. But our range of services goes from organising holidays and luxury travel, to school and university entrance, just general day-to-day errands. The biggest change has been buying into a luxury goods company that sources Hermès handbags, rare watches, and fashion items, as we have seen huge surge in demand for these items from clients in recent years. Firstly, what exactly is a concierge service, and how does it work? I guess to break it down, we are a PA for our clients, but often a PA to a PA, if that makes sense! We are a one-stop-shop for our clients, so they know that they can come to us for anything they can’t do or simply don’t want to do themselves. Each member is allocated a dedicated account manager and the idea is for them to really build a rapport so we can look after our client as well as possible. Get to know their likes and dislikes so we can really make sure we provide for them. What differentiates Ellidore from the other concierge companies out there in the market? We have taken a decision to remain relatively small as a company and look after a more manageable amount of clients, so we can really put a focus on service. We want all of our clients to feel like they are being incredibly well looked after. This also means we can spend that little bit longer on each request. You will never receive an automated email, you’ll never be held on the phone and asked to press 1 for this or 2 for that. Can you give us some examples of crazy and outlandish requests you have had from clients over the years? There have been so many! I did get asked 2 weeks before the US presidential election by a client in Dubai to get Michelle Obama and Hilary Clinton over to talk at a conference on infrastructure! There are lots of crazy requests but I think I should keep them quiet. Typically, we are asked to do the extraordinary or seemingly impossible and we tend to get it done or, at the very least, come close. Most of our clients from the Middle East use us initially to book their hotels or serviced apartments in Europe for the summer at discounted rates, but then, of course, we help them out with all the fun stuff they want to get up to whilst away. There are great events like Wimbledon, Royal Ascot, Monaco Grand Prix, and Cannes Film Festival. We charter lots of yachts for clients in the Med and are generally just at their side for advice, restaurant bookings, top tips on where to go and what to do. Our clients are always pretty last minute so for them to have their account manager on whatsapp or at the other end of the phone gives them the peace of mind that they are being well looked after and don’t need to plan ahead all the time. Why would I need a concierge service if I have a PA already working for me? We actually work directly with many PAs and we essentially work as an extension of them, often unbeknownst to the end client. Through our contacts, access, and knowledge of the HNW individual, we are able to speed things up for them and sort things which might usually be out of their comfort zone. Tell me why I should be a part of Ellidore? Ellidore has been described by Tatler as “A New Breed” in concierge and we just do things differently. We really care about our clients and look after them properly. It’s a really simple philosophy – we maintain a certain size so we can guarantee that every member feels special and has our due care and attention. On top of that, our level of access to events worldwide and our willingness to go that extra mile each time, we hope, makes us stand out. Where in the world do you operate? We have offices in London and Dubai but we operate globally. Our clients are an eclectic mix of nationalities and so they travel to all four corners of the world with us! If you were an Ellidore client, can you tell us what you might use the service for? If I were in the shoes of my clients, I’d use my account manager as someone to bombard with questions wherever I travelled – where to find the best bars, restaurants, places to go, things to do and see. I also have a love of sports so I would make sure I got to as many events around the world as possible – the Super Bowl in the US would be top of my list! Most of the time everything is possible…if not exactly what the client has asked, at least something pretty close. We don’t give in easily! The only time I can think of recently is the request mentioned earlier, when a client asked for Michelle Obama and Hilary Clinton to come and speak at conference in Dubai 2 weeks before the US presidential election! That one we had to politely turn down and offer up some other names! Favourite restaurant in Dubai/UAE and London/UK? In Dubai there are so many but my favourite probably has to be Marina Social, just because it’s close to home and the food is great, as is the service. I’m a big Jason Atherton fan and this place doesn’t fail to live up to his name. In London, it’s tricky as I haven’t lived there for such a long time, but if I went back for a day (in the summer), it’s got to be the River Café, with a seat outside in the sunshine. Favourite place to chill in Dubai/UAE and London/UK? In Dubai, I spend my weekends in El Chiringuito on the Palm. If you can’t reach me, there is every chance you’ll find me there most weekends. It’s got such a chilled atmosphere, good food and drinks, and the music is right up my street. In London, a really nice summer spot is the Chelsea Ivy Garden, used to while away the hours there in the summer or the rooftop swimming pool at the Berkeley Hotel! Japan – I am slightly obsessed with this country. It is just so different to everything I am used to and I mean different in the best way possible. If you haven’t ever been, it is somewhere I’d recommend everyone visit at least once in their life. The people, food, countryside, cities, atmosphere, culture, and history of the place – it’s all spectacular.